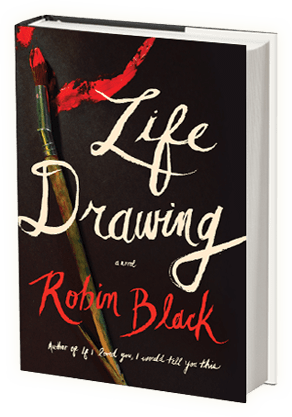 Robin Black’s novel Life Drawing is remarkable in many ways. So many reviewers have praised the book already that there’s no need to add to the chorus, but I want to note one element in particular. A ba d thing happens in this book. A big, bad thing, with a clear victim and a clear perpetrator. But what makes the act unusual is that everyone is guilty in some sense. The victim bears some guilt. So do three other people who did not commit or encourage or sanction the bad thing but nevertheless helped move it toward fruition. That strikes me as more true to life than we care to acknowledge on a daily basis. We may nod at the author’s wisdom, but in real life we prefer to get outraged. We like to draw hard lines between the innocent and the guilty, point our fingers at the bad guys and clamor for justice. For just a moment, think of how often we do this when discussing, say, Palestine, gun violence, political rebellions, multigenerational poverty, _____ [insert controversial subject of your choice]. Ms. Black’s one sin against realism in Life Drawing is that she allows her characters to recognize how much they have all contributed to the evil. In real life, we won’t admit any such thing.